Chocolate covered cherry with bourbon! Tried this drink at Uptown Café on Saturday during the Bardstown Road Aglow, and it was absolutely divine. 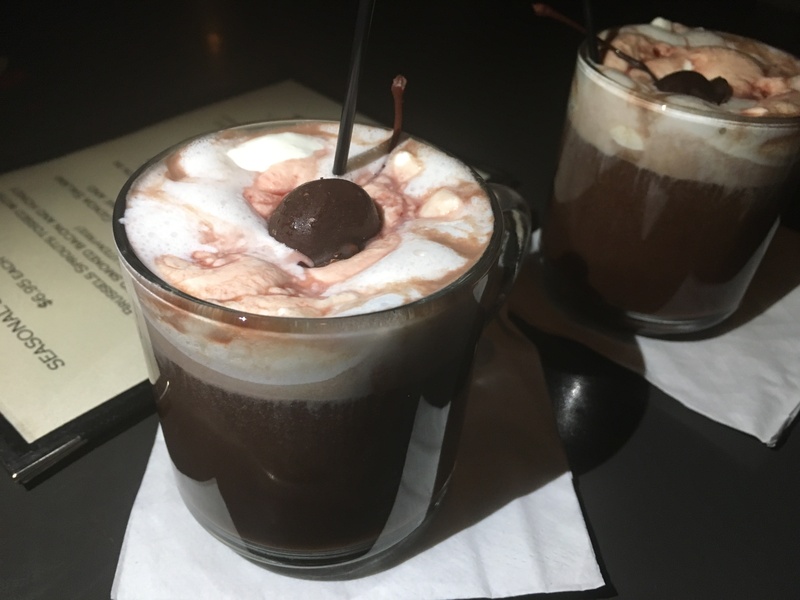 I think it was called a Chocolate Covered Cherry Bourbon Ball, and it was made with Maker’s Mark, hot chocolate, Godiva liqueur and cherry juice, and topped with whipped cream, cherry drizzle and an actual chocolate covered cherry. Damn Gina! I sucked it down like I was in a competition … plus, I’ll be honest, I was hoping to have one more before the group was done with theirs. I decided not to indulge, though. Gotta protect my rep and all, you know? Hopefully they make them more than just that one night. I kinda need another one. PreviousDive in the Rabbit Hole … the water’s fine!